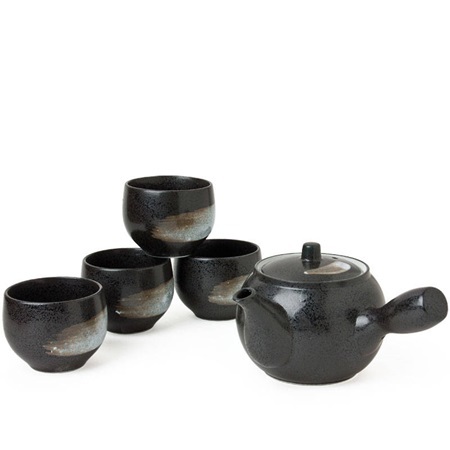 This traditional shape teapot is made modern by the beautiful charcoal color, finished off with a brush stroke design. Set includes one 14 oz. pot and four cups in a black gift box. Teapot: 5.75" x 6.75" x 3.75"h; 14 oz. capacity. Tea cup: 3" diameter. x 2.25"h; 4.5 oz. capacity.